Sinful's newest resident, Mary-Alice Arceneaux, is starting to catch on to the fact that the Sinful Ladies' Society does more than brew 100-proof cough syrup to sell at the church bazaar. So when Ida Belle gets into serious trouble, Mary-Alice wants to help the SLS in their quest for justice. But this means that the sweet-natured Mary-Alice will have to endure a visit to the Swamp Bar (where decent ladies don't go) and battle her vindictive cousin, Mayor Celia Arceneaux. Will Mary-Alice's gentle temper and unshakable faith in human nature endure? We first met Celia's cousin-by-marriage Mary-Alice in SCHOOLED, where she played a supporting role. In MARY-ALICE MOVES IN, our heroine relocates to Sinful and takes center stage. In BAYOU BUSYBODY, Mary-Alice uses her expert knowledge (derived entirely from her mystery reading) to deal with a strange missing-person case while Ida Belle and Gertie are out of town. 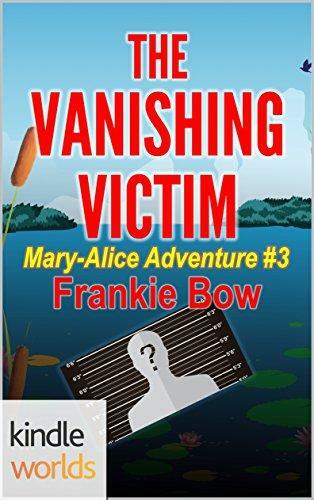 In The Vanishing Victim, Mary-Alice is eager to join Gertie and Fortune, and do whatever it takes to save Ida Belle.